The bad news; bed bugs are considered a public health pest by the Centers for Disease Control, the Environmental Protection Agency, and the United States Department of Agriculture. The good news; bed bugs are not known as transmitters of disease. One reason bed bugs have increased is due to their mobility, which includes being adept at world travel. With thousands of people traveling in and out of cities around the globe, it’s no wonder the bed bug population has increased as the wily bugs stow away in luggage, carry-ons, totes, clothing and anything else that’s handy. Bed bugs are also masters at hiding as they prefer dark and cozy places. Their small size works to their advantage as they find places to hide and wait for their buffet – served up by humans. They’re focused on finding handy hiding places that range from headboards and desk drawers to storage boxes and under mattresses. Regular over-the-counter pesticides don’t work; only treatments applied by an experienced NJ pest control service can rid your home of pests so you can avoid red and itchy bites. Using NJ pest control is the answer when bed bugs invade your home. Once these bloodsucking pests settle in, it takes professional techniques and equipment to get them out and keep them out. For help with eliminating bed bugs and sleeping peacefully again, call Stern Environmental for a free home inspection. 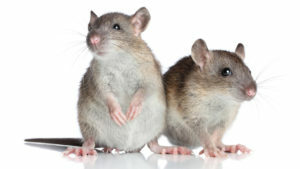 When it comes to dealing with common rats or street rats, the best course of action is letting a professional NJ pest control service handle the situation. Throughout history, people have been plagued by rats; literally. The most prolific rat that has managed to survive the ages and become a successful resident on the planet is the brown rat. This brown or grey-coated mammal is also known as the common, street, wharf, sewer, Norway, water, Parisian, and Hanover rat. The brown rat, for all intents and purposes, is a survivor partly due to its senses, which include extremely acute hearing and an above average olfactory system. While hearing and smelling capabilities are superior, their eyesight is poor. Generally, the body of a brown rat averages around 11 inches in length with the addition of another estimated 10 inches for the tail. Their body dynamics plus their quick speed and jumping and climbing abilities make them an imposing and scary presence in the home. Brown rats are adept at swimming above and below water, so outdoor swimming pools may become a point of recreation focus, especially at night as brown rats are nocturnal. If you’re dealing with an infestation, don’t hesitate to call Stern Environmental. With experienced NJ pest control technicians on the job, you can enjoy your home year-round without unwanted guests. Call today and be rat-free in no time. With bed bug incidents on the rise, homeowners and business owners should learn more about these pests. Knowing more about bed bugs, including what they look like, can help you identify them on your property. Keep in mind that you should turn to professional NJ pest control experts to get rid of these bugs. 1. 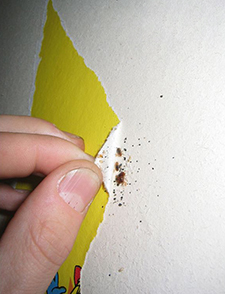 Bed bugs are a reddish-brown color and measure about a quarter-inch long. They are also typically flat and rounded, but they have a bloated appearance after they feed. 2. 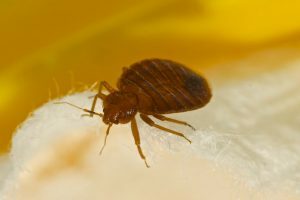 Bed bugs are mainly active during the night while people are sleeping, but they can also come out during the day in order to feed. 3. Bed bugs can feed on any part of the body, although they mostly head to exposed areas of skin. Bites mainly occur on the arms, neck, hands and face. 4. Bed bugs travel around from place to place on items, and it’s very easy for them to hide. These bugs have been found in many places, including luxury hotels, buses and movie theaters. 5. Bed bugs only need about 10 minutes to fill up on blood. After feeding, they can go for days without needing to do so again. If you are dealing with bed bugs in your home or business, contact Stern Environmental for help. We offer reliable NJ pest control to eliminate bed bugs in residential and commercial properties. What is Cryonite, and What Makes it So Effective in Bed Bug Extermination? Bed bugs are causing trouble for those who try to use chemical products to get rid of them. These bugs have built up a resistance to some of these products, but our NJ pest control company has a better solution. Learn more about the Cryonite treatment our technicians use in order to deal with bed bug infestations. Cryonite is a highly effective way to eliminate bed bugs. This freezing method involves the use of liquid carbon dioxide, which freezes bed bugs and destroys them. Cryonite is designed to work as quickly as possible, so that bed bugs freeze to death shortly after being exposed to it. This freezing method is a successful way to get rid of bed bug infestations, since it is able to destroy these pests during all life stages. Cryonite offers homeowners and business owners a non-toxic way to treat a bed bug problem. It also provides an alternative solution when bed bugs have become resistant to insecticides. Since Cryonite doesn’t contain any harmful chemicals, it’s safe to use in homes, hotels and other places where bed bugs are found. In fact, it’s even safe to use in homes that have small children and pets around. If your residential or commercial property has bed bugs, contact Stern Environmental for NJ pest control. Our technicians can use Cryonite to effectively eliminate these pests. Bed bugs aren’t like flies and other bugs that disappear during the winter months. These pests stay active throughout the year, especially when they have a steady supply of blood to feed on. You can take steps to keep these pests at bay this winter, so that you won’t have to worry about needing professional NJ pest control to deal with a bed bug problem. 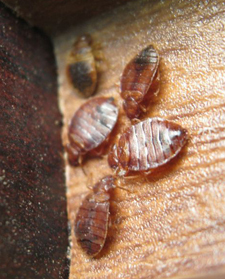 Bed bugs tend to hide in the seams of mattresses, which can make them difficult to find. Putting a protective covering or encasement over your mattress and box spring can keep these bugs from entering these hiding places. Just make sure that you check the covering for tears or other areas where bed bugs could squeeze through. You can spend the long winter months going through your belongings and eliminating clutter. Having clutter around provides many hiding spots for bed bugs, which can lead to a big infestation. Clearing out clutter means you’re less likely to need NJ pest control. Pull out your vacuum cleaner at least once a week during winter. Vacuum carpeting, furniture and even curtains and drapes. Bed bugs like to hide in these places, but vacuuming can help remove them. If you find bed bugs in your home this winter, contact Stern Environmental to schedule NJ pest control service. Our technicians can find and eliminate these pests.